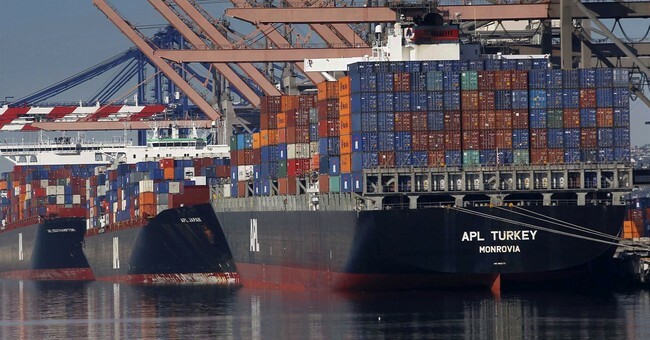 Tariffs Hurt Both Consumers And Corporate Profits? How Can That Be? It was an intriguing session that saw Fed minutes underscore the fact Jay Powell and others were on the same page with respect to the rate being near neutral and acknowledging the need to let data steer adjustments, rather than going on autopilot, in an effort to clean up that massive accommodation that swelled the Feds balance sheet to over $4.5 trillion. Smartest Guys in the Room? I’m more concerned about financials, which were supposed to be the big no-brainer investment of 2018. As usual, all the smart folks on Wall Street piled onto the trade based on the notion of easier money-making opportunities as the Fed hiked rates. The Fed will finish 2018 with four rate hikes (assuming next month is a done deal) the financials look to end 2018 trying not to make new lows. On that note, Bank of America downgraded Goldman Sachs to Neutral from Buy this morning. The world is holding its collective breath ahead of the big meeting between President Trump and President Xi with the aim of resolving the trade dispute. This morning President Trump was joined by the leaders of Mexico and Canada to sign the new USMCA which replaces the old NAFTA agreement. That deal came amid tough negotiations and major doubt it would happen it all. So for all the drama and second guessing the range of possible outcomes for this weekend go from abject failure to roaring success. I can say, all the pressure from businesses and others with such embedded financial interest in not rocking the boat won’t matter and that’s great news. Trump voters put him in office to improve the bottom line of Main Street and that ultimately does improve the bottom line of Wall Street. Replies and comments that these tariffs are a tax on American consumers one day and hurt corporate profits the next day are disingenuous. How could it be both? The bottom line is Americans need jobs before they can be concerned about paying $1,400 for a smart phone. All those manufacturing jobs lost over the years won’t come back, but hundreds of thousands have been created in less than two years and many more are possible. Meanwhile we must protect intellectual property and slow China’s military ambitions (aided greatly with the theft of American technology). Both Beijing and Washington know that. But to avert the less than desirable scenarios that have been talked about, both parties will have to be sensitive to each other's sensibilities. No party should count on the other side to do all the giving without getting anything in return. Beijing wants a deal, just as Washington does. And it is willing to cooperate with Washington in dealing with concerns about trade if they are fair-minded. That should suffice for a mutually acceptable solution to be found to their present dispute if it is about trade. Should there be any other aspirations, such as taking advantage of the trade spat to throttle Chinese growth, then an agreement is unlikely to be reached. And there's the rub, for the US seems intent on sharpening its competitive edge in technology by whatever means necessary. The White House appears optimistic about taking home a good deal from Buenos Aires based on the belief the US economy is in better shape to weather a long trade war than China's, and it seems to be counting on this to squeeze concessions from China. But a good deal means both sides walking away happy. The US should give its habitual winner-take-all approach to international relations the weekend off. More signs of China’s economic slowdown is speeding up.